Hello everyone and welcome to our fourth installment of our series where I take a look at my top five attractions at each of the parks. 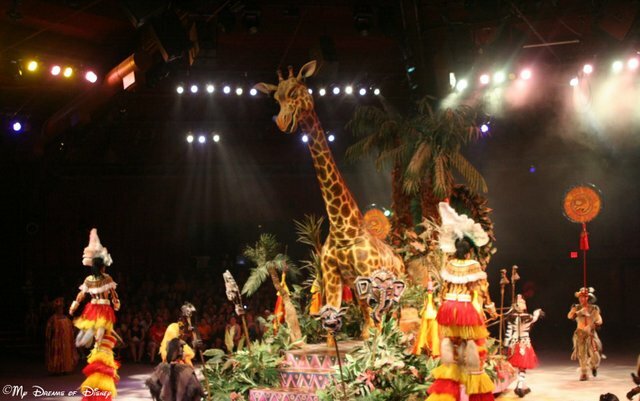 You may remember we had our top five attractions for Magic Kingdom, Epcot, and Disney’s Hollywood Studios, so this week, we’re taking a look at my top five Disney’s Animal Kingdom Attractions! Kilimanjaro Safaris is one of the most realistic safari type rides I’ve ever been on. 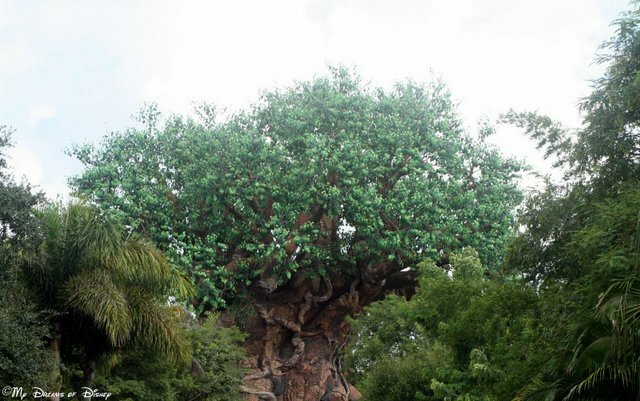 Starting us off on our countdown to #1 is Kilimanjaro Safaris, that very realistic safari ride that takes you through the African plains on your own safari to see exotic animals. 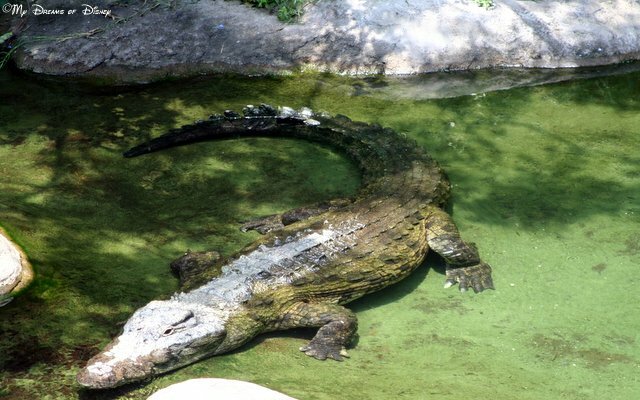 It’s always a lot of fun to take a look at these incredible creatures, but what do you think of the attraction? The only problem I have with it is I have a tendency to get very blurry pictures from all of the bouncing the vehicle does! I know this is at the top of many people’s list, but it doesn’t make my top choice. Finding Nemo: The Musical is my favorite show at Animal Kingdom. I love the way the story is brought to life! 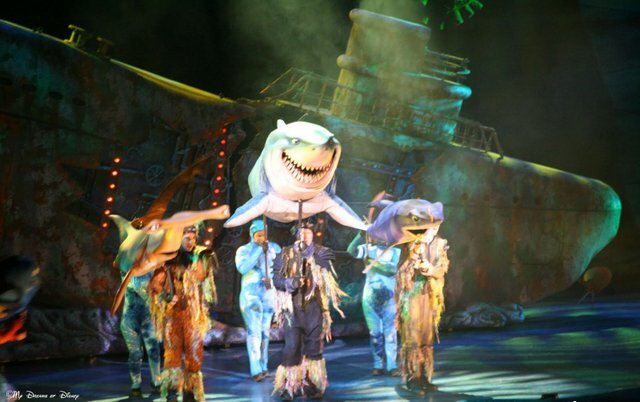 When it comes to shows at Walt Disney World, Finding Nemo: The Musical may be my favorite Disney show. I love the way the actors bring the story to life and how they work their characters in such creative ways! For a very hot park, nothing is better for cooling off than Kali River Rapids! 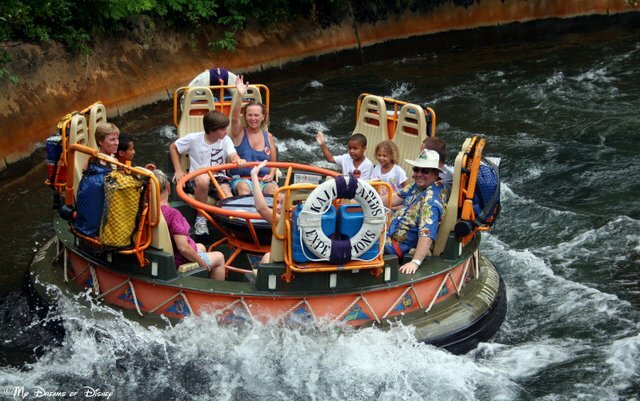 Coming in at #2 in our countdown is Kali River Rapids, a rafting tube ride that takes you down some great drops, splashes, and twists and turns so that, at the end of the ride, your objective has been met: you are drenched from head to toe! The backstory of so many of the rides at Animal Kingdom is incredible, and the backstory for Kali River Rapids is no less so. You are going to take a rafting expedition for a couple of reasons — to explore the African wilderness, but to also help raise funds to stop all of the cutting of the rainforest that has taken a toll on the environment. Part of your trip is past the clear cutting, and it is at this point that the runoff speeds up the water, and causes you to go faster and be more out of control. The ride is a lot of fun for me, but you tell me — do you like it? At number 1 is Expedition Everest, one of my favorite roller coasters at Walt Disney World! 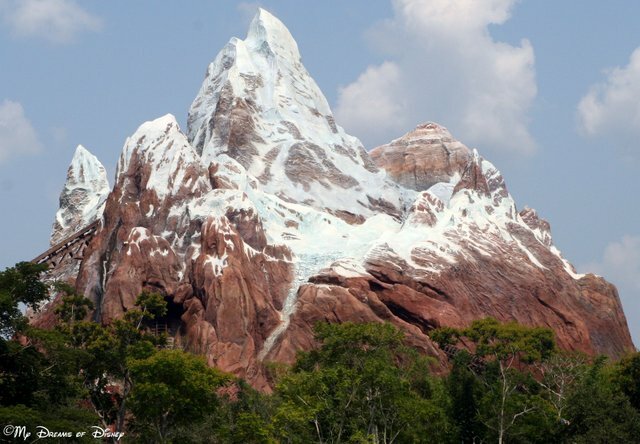 For the longest time, I wouldn’t ride Expedition Everest…and then, when I did, it felt like it was too slow for me. But the last couple of times I’ve ridden on it that has changed. I’m not sure why, but now, Expedition Everest is easily in my top 4 for roller coasters (#1: California Screamin’, #2: Big Thunder Mountain Railroad, #3: Rock ‘n’ Roller Coaster Starring Aerosmith, #4: Expedition Everest). I now have a unique appreciation for this attraction. It seems faster than it used to, I love going backwards, I love the darkness, I love it all! It’s a great ride, and I hope you agree with me! 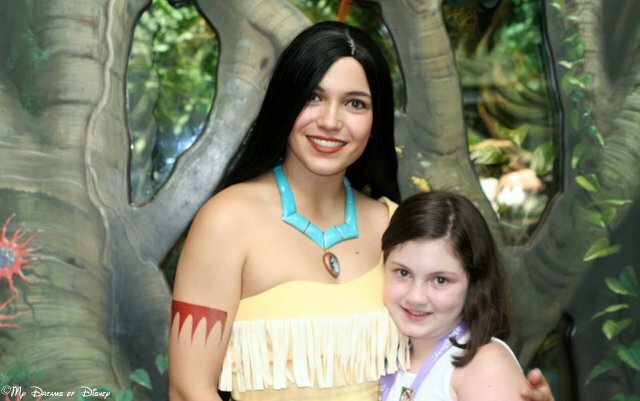 Rafiki’s Planet Watch is a deceptively good attraction, and that is where we saw Pocahontas! 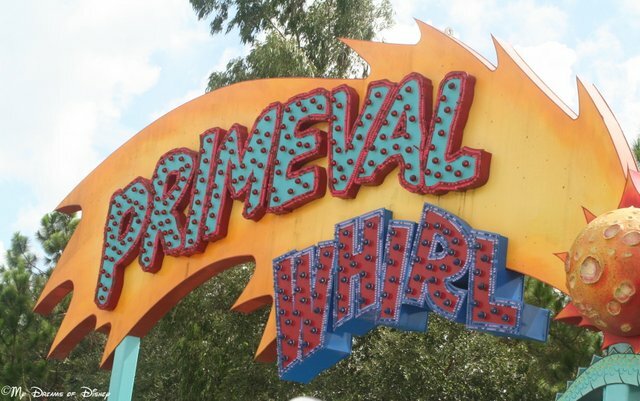 Primeval Whirl is a fun roller coaster that has you spinning in a circular ride vehicle! Thank you for stopping by to check out my top five attractions for Disney’s Animal Kingdom! Leave me a comment please and let me know what your top five are! Also, don’t forget to enter to win a $500 Disney Gift Card, or one of two $250 Disney Gift Cards! Just click on the image below to go to that post and enter. Good luck everyone!